Toxin. Toxic. These are scary words. They have been used to elicit fear and anxiety in people around the world for the last few decades. But, what is a toxin? We all know they’re bad and harmful for us, but what exactly is a toxin? A toxin is a poisonous molecule, peptide or protein produced by an animal, insect, plant or microorganism. 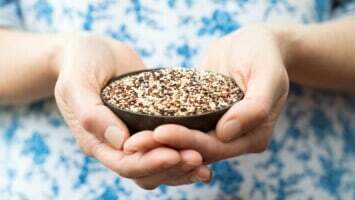 The easiest way for you to get these into your body is through a bee sting, snake bite, eating a poisonous plant, like hemlock, or by consuming food contaminated with something like salmonella or botulism. When the media says “toxin,” they are usually referring to something called a toxicant. A toxicant is any toxic substance, but the word has been used to refer to anything artificially made by humans or introduced in the environment by humans. These can range from artificial chemicals in your food to chemical waste dumped into our water supply, as a byproduct of things like fracking, coal burning power plants and industrial manufacturing. The human body has some wonderful mechanisms for filtering out most toxins that you ingest. The liver, kidneys and gastrointestinal tract will filter almost all toxicants and move them out of your body through your urine or feces. Materials toxic to the body can build up if one of those three organs are damaged or compromised through trauma, disease or the abuse of alcohol, drugs or cigarettes. You could eat and drink in moderation without any ill effects. The idea that your body could be overloaded with toxins, yet not contract a very serious illness or die, has become very popular in recent years. 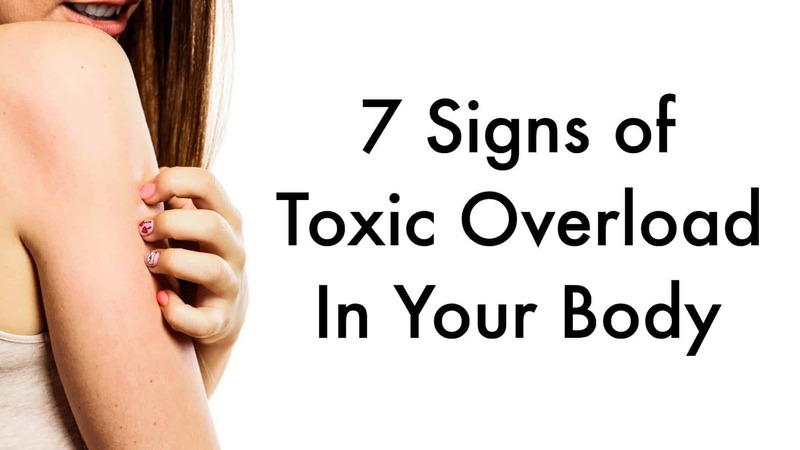 The idea of toxic overload has been associated with these seven signs. People with a damaged liver often experience insomnia because the liver affects the level of histamine in the brain. If you have ever taken an antihistamine for allergies and felt groggy or sleepy, it is because histamine regulates your sleep-wake cycles. If histamine levels are off, it could cause insomnia. People with liver disease also tend to suffer from obesity, hypertension and diabetes, all of which list insomnia as a symptom. Alcohol is a toxin produced when yeast turns sugars into energy and excretes alcohol and carbon dioxide as a waste product. Too much alcohol will damage the liver, as well as the brain and kidneys, over time. Highly processed foods and fast food tend to be artificially packed with sugar in order to make them more appetizing. Our body needs sugar in order to function. Sugar is what powers us. It is our fuel. But, simple sugars derived from sugary drinks, candy bars and other highly processed foods tend to displace other foods rich in nutrients. We turn sugar into something useful through insulin. Unfortunately, we can become resistant to insulin. The lethargy you feel is the sugar crash after you have ridden the sugar high. Eating too much sugar leads to weight gain and high blood fats which both contribute to heart disease. Heart disease is the number one killer of Americans. Stress releases hormones into your blood stream in order to speed up or alter your body’s normal functions to make you better able to deal with the stressor. Your body normally filters these stress hormones out of your blood stream after a stressful incident. Stress over a long period of time can cause these stress hormones to build up in your system and will trigger headaches and even migraines. The easiest way to treat these headaches is to find a dark, quiet place to lay down and relax for a bit. Finding healthy ways to deal with long term stress is important, as stress is a contributing factor to things like heart disease and stroke. People have associated skin rashes and acne with the buildup of toxins in your system. Rashes stem from contact with toxins outside your skin (Poison ivy), your body’s attempt to fight off infectious diseases or fungus (Chicken Pox or Athlete’s foot), or from an allergy to something in your environment. Contrary to popular belief, when you sweat, the only things you excrete are water and salt from your sweat glands, and the salt is typically reabsorbed into the body. Acne is a condition when oil and bacteria clog up the oil glands attached to hair follicles and cause them to swell. When your body produces too much of this oil, and/or dead skin cells, they can plug the oil gland and create a breeding ground for bacteria. A discolored tongue is known as a sign of high levels of toxins in your body. In reality, a “white tongue” is a harmless buildup of dead skin cells, food debris and the mouth’s normal bacteria. But, a white tongue can be a sign of infection or certain precancerous conditions. Yellow tongue is associated with liver disease, if there is also jaundice of the skin and eyes, and could be an indicator of liver or gall bladder diseases. A recent study in Sweden found a link between the common environmental toxin PCB (polychlorinated biphenyl) and belly fat. This toxin is said to increase the rate at which the body stores belly fat. Belly fat lies close to the vital organs and floods the blood stream with free fatty acids. This contributes to insulin resistance, arterial dysfunction, liver disease and other issues. The best way to detox your body is to exercise regularly, eat healthier foods and smaller portions, get some sun, and get better sleep. Hot flashes are due to hormonal changes most commonly associated with menopause. Fever is your body’s attempt to kill off invading microorganisms. Feeling hot is not due to a buildup of toxins. And, the idea that you could sweat toxins out of your system is simply untrue. Your sweat is almost entirely made up of water and salt. Using excessive sweating to try and detoxify your system will only cause your kidneys to retain water and, therefore, retain any toxins the kidneys were attempting to filter out of your body. The best way to detox your body is by eating a healthy diet of fruits, vegetables and lean protein, exercising four hours per week and getting plenty of rest and sunshine. The Mayo Clinic says that most people feel better after “detox diets” because they have eliminated unhealthy foods from their diet high in solid fats and sugar. They also advise that fasting, common of such “detox diets” can lead to vitamin and mineral deficiencies while colon cleansing can lead to nausea, vomiting, cramping and bloating, which could cause dehydration. Your body is very good at filtering out toxins from your environment, but poor eating habits, little exercise and actual toxins, like alcohol and smoking, can cripple your body’s natural filtration system. If your body was truly overloaded with toxins, you would most likely be hospitalized or dead.